1. 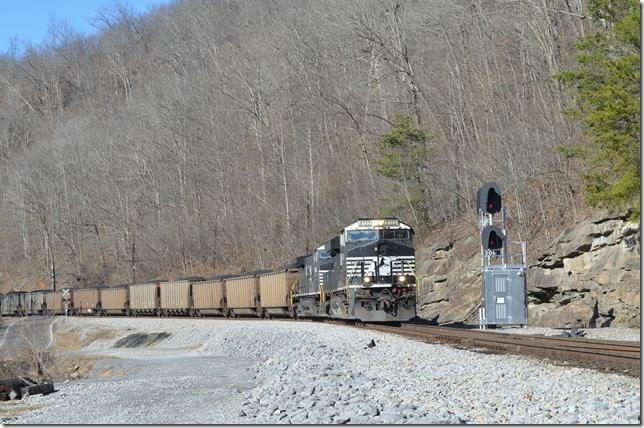 NS 8133-4016 with e/b 740-01 (Bailey Mine PA to Catawba power plant NC) with 101 DKPX (Duke Energy). 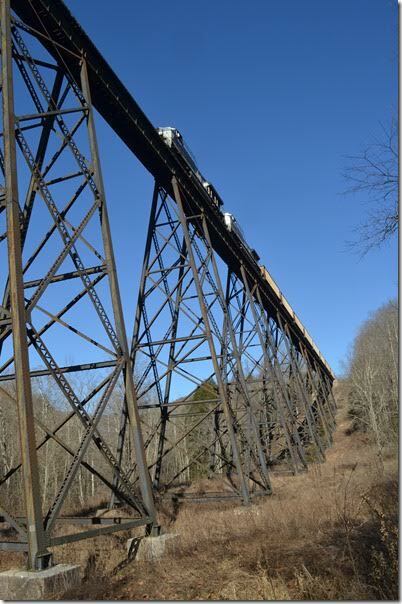 Caretta Junction WV. 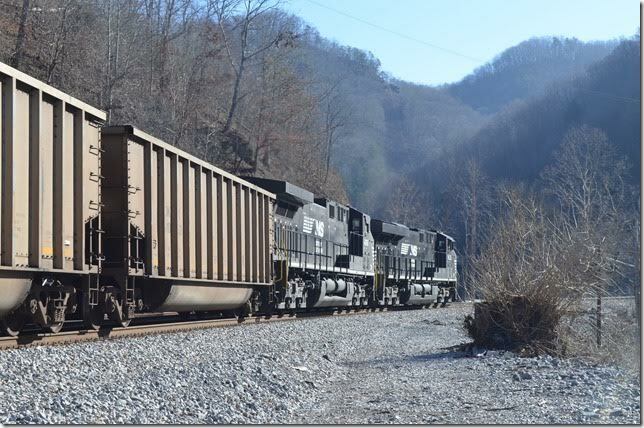 A crew from Carbo took over this train in the passing siding at Lomax. 2. NS 8133-4016. Caretta Br Jct WV. View 2. 3. 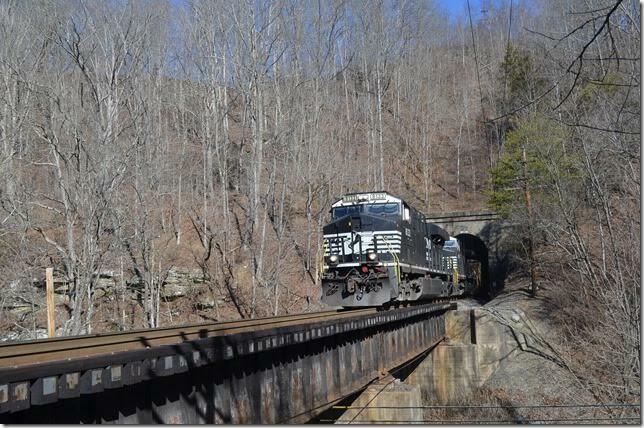 NS 1059-3613 on pusher J73 pushing 740-01 near War WV. 4. 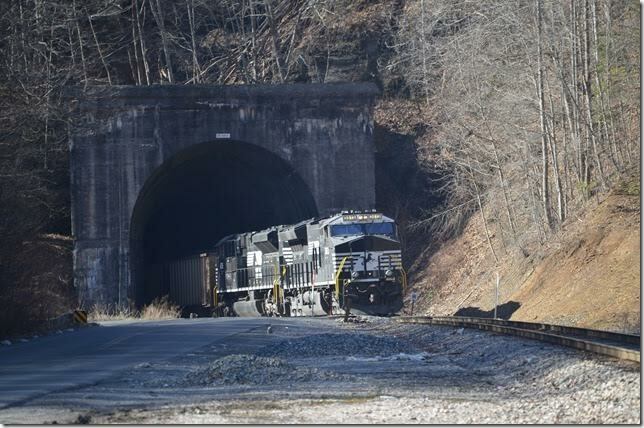 NS 8133-4016 rumbling out of Dry Fork Tunnel No. 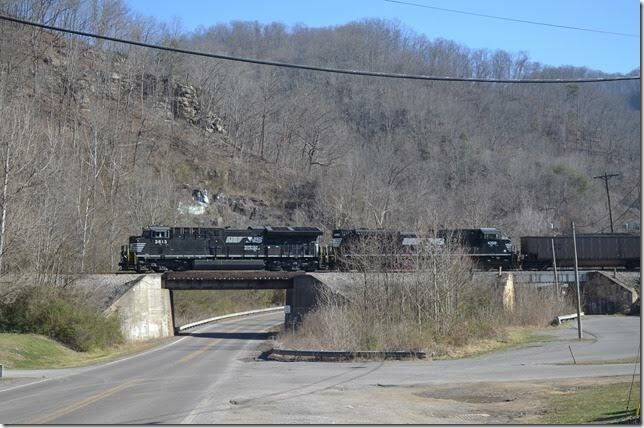 1 at Valls Creek WV. 5. MILX (Wells Fargo Rail Corp.) 25167 was built in 2005. Wells Fargo acquired GE Capital Rail Services and First Union Rail Corp. The name changed on 01-01-2016. 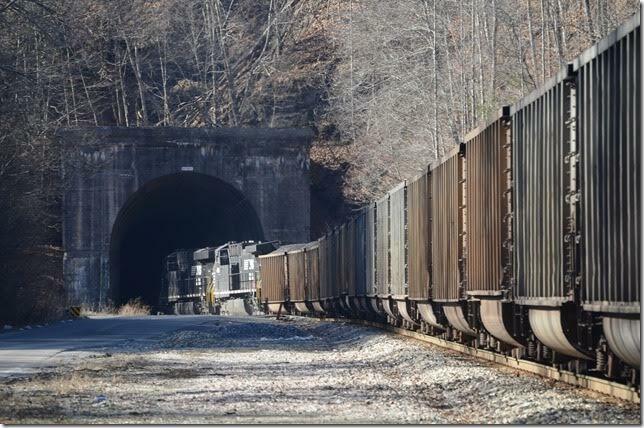 They have the largest fleet of lease railcars in the country now. I don’t know the significance of the cardinal logo. 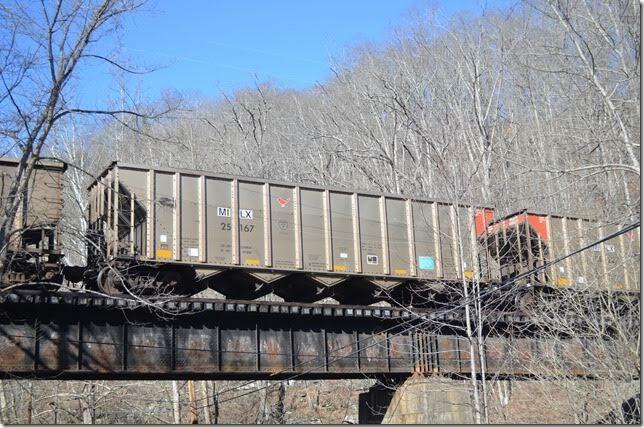 Valls Creek WV. 6. 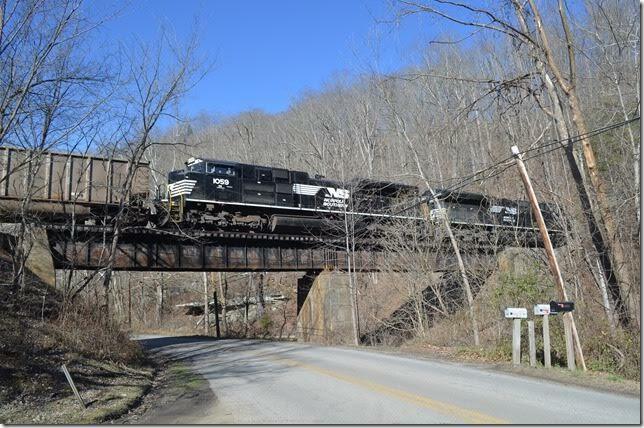 NS 1059-3613 J73 at Valls Creek WV. 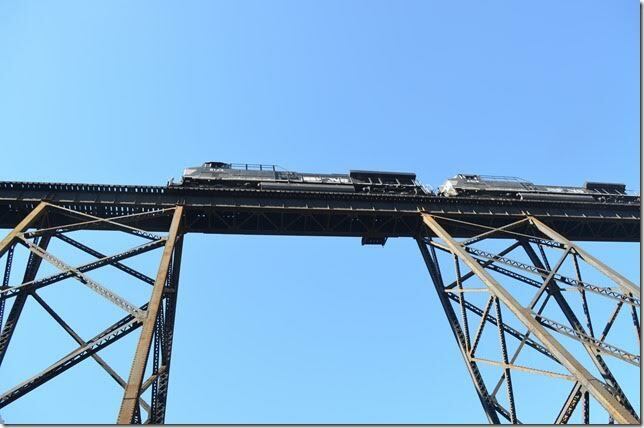 There is still a bit of “Norfolk & Western” on the girder. 7. NS pusher 1059-3613 J73 has just gone over the spur to the inactive Amonate Mine. 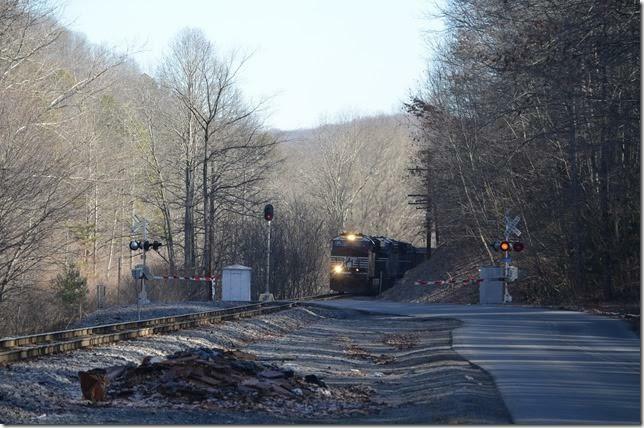 The junction is known as Beech Fork VA. 740 is now on the grueling grade of 1.50%. 8. 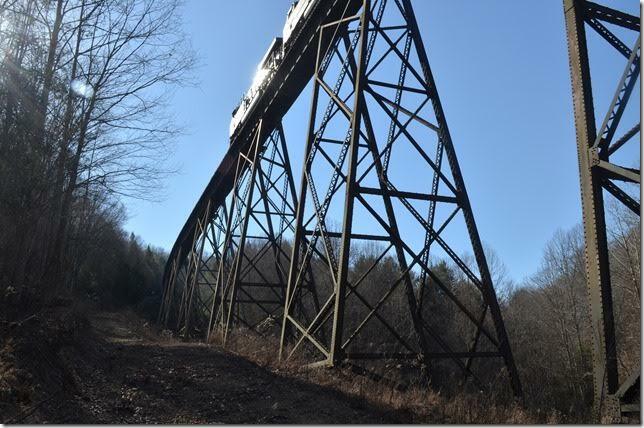 NS 8133 740-01 crosses Trace Branch trestle at Field VA.
9. NS 8133. 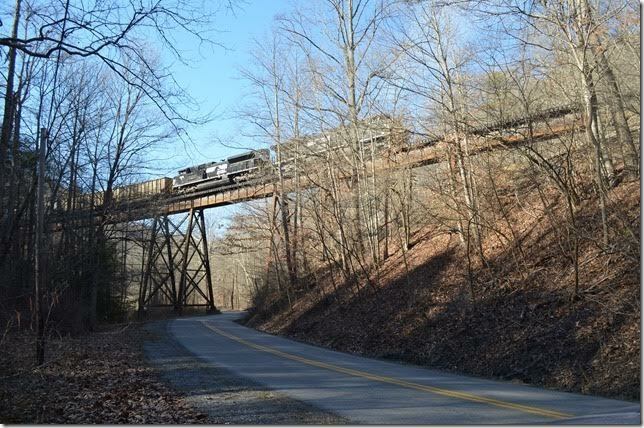 Trace Branch trestle. View 2. Field VA.
10. NS 8133. I’ve walked up there, but not any more. Field VA.
11. 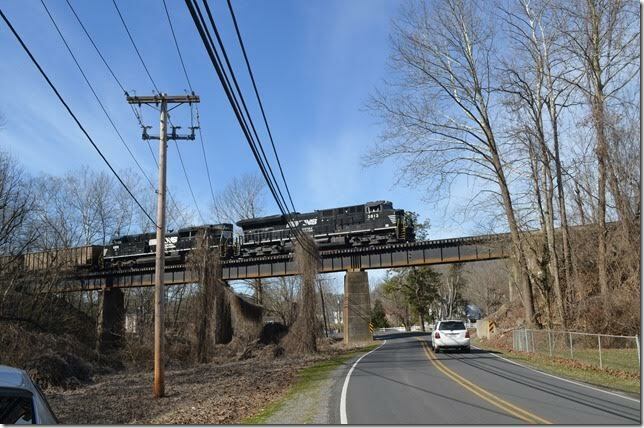 NS 8133 near Bandy VA. Almost to the top of the hill. 12. NS 8133 near Bandy VA View 2. 13. NS 8133-4016. 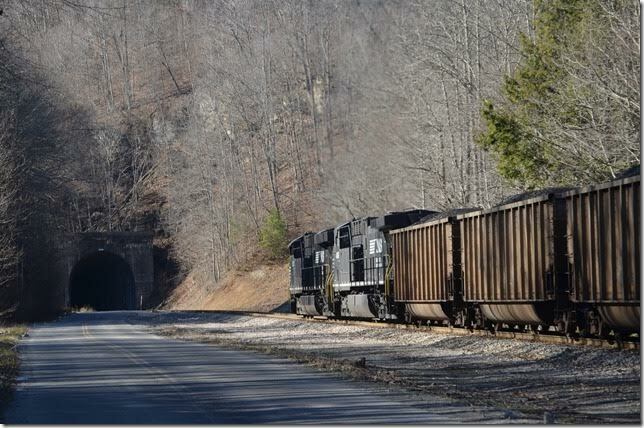 Approaching Dry Fork Tunnel No. 3 at Summit. 14. NS 8133-1059. N&W must have anticipated installing a ventilation fan at one time. The concrete-lined tunnel is 4,769 feet in length. Bandy VA is the nearest community on the west side. Bandy tunnel. 15. NS pusher 3613-1059. Bandy tunnel. 16. NS pusher 3613-1059. Bandy tunnel. View 2. 17. 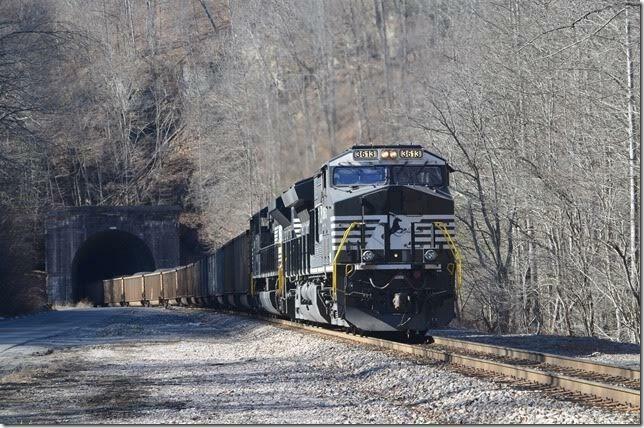 NS pusher 3613-1059 J73 coasting into Dry Fork Jct. at Cedar Bluff VA. I think the pusher stayed coupled to Carbo. 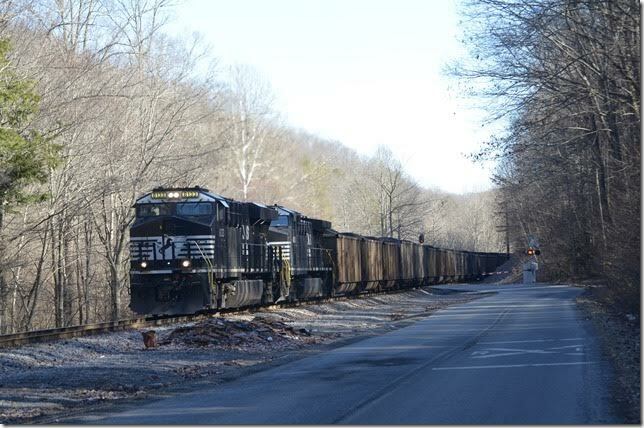 Chase and I proceeded on to Bluefield and followed the Pokey main line back west. More on that later.